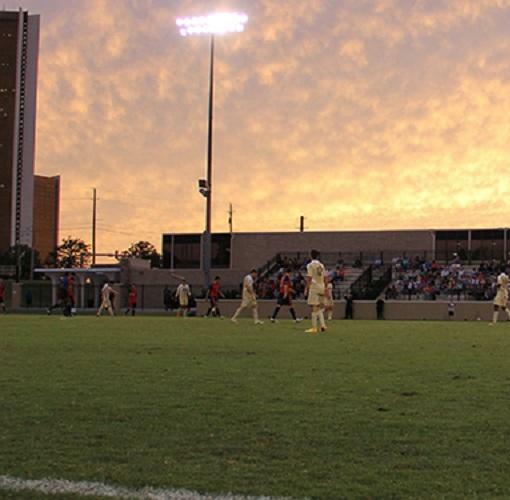 Built just before the 2011 season, the Case Soccer Complex is Oral Roberts University's soccer venue. Seating nearly 1,000 fans with a concession stand area, the stadium also has an air-conditioned press box with a video deck, allowing all home games to be video streamed through the ORU Sports Network. The complex features new practice fields, located just north of the game field, overlooking J.L. Johnson Stadium. With the extra space, the game field is allowed more recovery time, giving ORU an outstanding playing surface throughout the season.